Keith Smith is a York County native who was raised on a large farm in Glenville, PA. He graduated from South Western High School in 1980 and immediately joined the concrete construction industry, working for his brother’s concrete construction company. Keith started as a laborer and worked on a variety of concrete construction projects from pouring flat floors, excavating foundations, casting poured concrete walls and columns all the way to foundation installation. He worked hard and honed his skills in the field, learning how to use equipment, finish concrete, manage people, and create quality work while maintaining a profit. At his former employer, Keith was promoted to foreman, then moved into the office as an estimator and eventually became Vice President. This provided valuable experience in additional facets of the concrete construction trade, and enabled him to hone his skills as a concrete craftsman and corporate manager. In 1994, he decided he wanted his own company. Keith and his wife Ellen started Keith D. Smith Concrete Contractor, Incorporated. 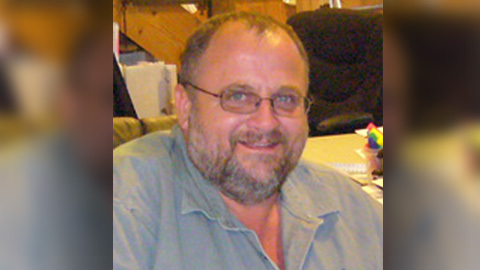 His current daily duties include scheduling of employees, equipment, jobs, overseeing estimating, and job procurement. Ellen was born and raised in Littlestown, Pennsylvania. She graduated from Littlestown High School in 1980, and not long after married Keith and had their first child, Benjamin. She worked at the Littonian Shoe Company for seven years until the birth of their second child, Abigail. She then worked as a housewife and opened a daycare. 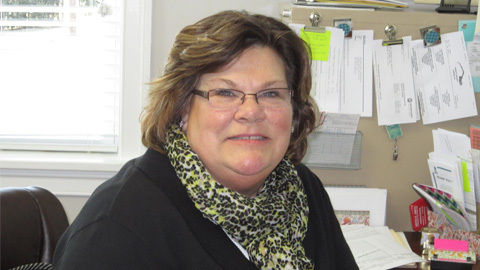 When she and Keith launched the business, she quit her daycare services and began working as a secretary for the business. Her job duties include general secretarial work, appointment scheduling, human resources organization and communication, and financial work. Ryan was born, raised, and currently resides in Hanover, Pennsylvania. He is a 2006 graduate of Shippensburg University and was an employee of Keith D. Smith Concrete during and after high school. Upon completing college, Ryan decided he did not want to enter the IT field, so he came on board as a full-time office employee. Ryan works closely with Keith running the estimating department and helps build corporate relations. He has grown with the company in the last eight years, and his current job duties include estimating projects, project management, technology help, and office management. Patrick is a 1998 graduate of South Western High School and is a York County native, as well. 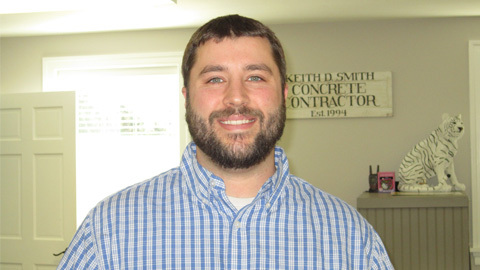 Patrick started working for Keith D. Smith Concrete while in high school, and upon graduation, joined us full time. He matured as an employee moving from laborer to manager, and has been a key resource in ensuring work is completed on-time, on-budget, and with top quality. Patrick is also the operating partner of LandS Formless Curb Company, Incorporated. In addition to operating the curbing business, managing field employees and projects, he also is involved with estimating and project management in the office. 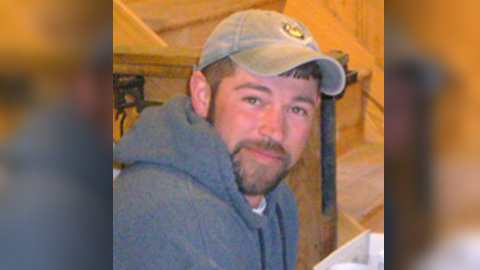 Ben is the son of Keith and Ellen Smith, and the second generation to join Keith D. Smith Concrete Contractor, Incorporated. He is a graduate of Drexel University and holds degrees in civil engineering and architectural engineering. 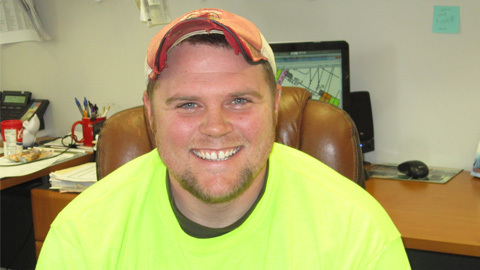 Ben is a previous employee of Keith D. Smith concrete, working for the company since he was 14 years old during the summers. After graduating college Ben found a job at a local engineering firm doing civil and municipal engineering. After one short year Ben returned back to the family business and began integrating himself into the day to day operations of the business. Today his duties include project management of large commercial concrete projects, oversight over the foundations division of business, scheduling of work, support to the estimating department, heads up all education and training initiatives, safety advisor, and project management of specialty concrete projects. Ashley was raised in Littlestown, PA. She graduated from The Art Institute of York, PA in 2005 with a degree in interior design. 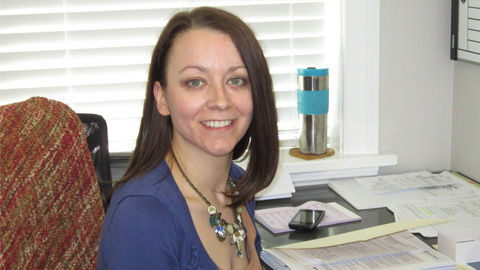 She started working for Keith D. Smith Concrete in the summer of 2011. Ashley currently lives with her husband and daughter in East Berlin, PA and likes to spend time cooking, reading, and spending time outside. 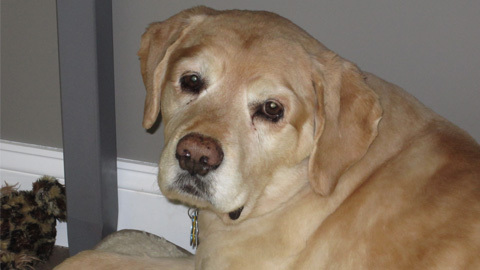 Gunner has been a part of the Keith Smith Family for the past 11 years. He is the furry child of Keith and Ellen. Gunner goes to work every day with Ellen and greets all of our customers as they come through the door. He is well fed by the office staff, the UPS drivers, and the teller at the bank. Gunner love to walk to the shop and hang out with employees. He is a very valuable part of our company!